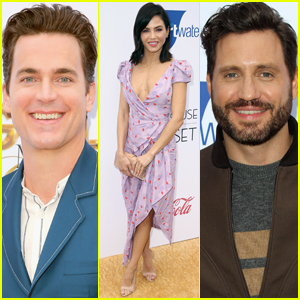 Olivia Munn poses for a photo with Tan France and Antoni Porowski while attending the 2019 GLAAD Media Awards on Thursday (March 28) at the Beverly Hilton Hotel in Beverly Hills, Calif.
Tan and Antoni were joined at the event by their Queer Eye co-stars Jonathan Van Ness and Bobby Berk. On the red carpet, they met up with Olympic figure skater Michelle Kwan. Olivia is one of the presenters at the L.A. event. Another awards show will be held in New York on May 4. FYI: Olivia is wearing a Yanina Couture gown, a Jimmy Choo clutch and shoes, and Anita Ko jewelry. 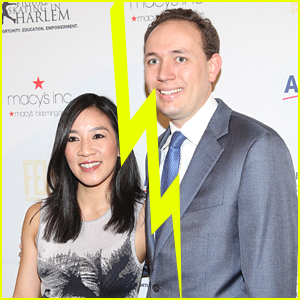 Michelle Kwan and her husband Clay Pell have decided to end their marriage. 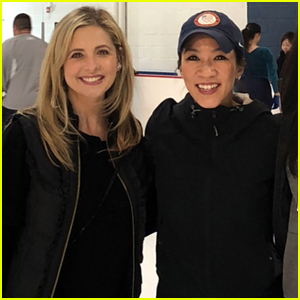 The 35-year-old former military officer filed for divorce from the Olympic-winning ice skater on Monday (March 27) after being married for four years, E! News reports. 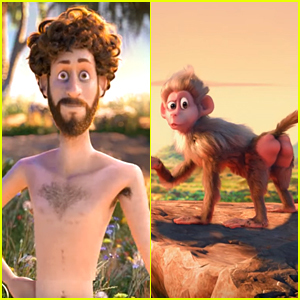 Michelle and Clay married back in 2013 and do not have any children together. Olympic gymnasts (and gold medalists) Shawn Johnson and Nastia Liukin were as cute as can be and both said, “I follow you on Twitter!” The U.S. Olympic team reads JJ! Ice skating legend Michelle Kwan was nice enough to talk, as well as former WWF star, The Iron Sheik and another famous Jared (the Subway commercial guy who lost over 200 pounds)! Also pictured after the jump are: WNBA star Lisa Leslie, NFL running back, Adrian Peterson, former basketball player, Jalen Rose, and #1 NBA draft pick, Blake Griffin.